​Logan Acres provides licensed physical, occupational and speech therapy coverage 7 days a week to better serve our clients and to provide the highest level of care. Let us help strengthen your body on either an in-patient or an out-patient basis. 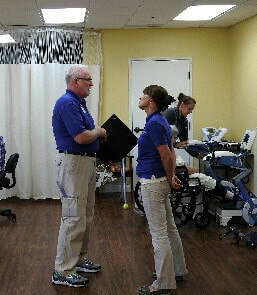 The Logan Acres Team works with patients to help them return to their previous lifestyles or modify processes to remain safe while carrying out their daily activities, reestablishing routines, etc. Our facility offers a unique treatment setting in our Transitional Therapy room. Logan Acres has simulated a home-like environment where Homeward Bound participants can practice daily living skills in a safe and supervised setting. Opportunities are available to prepare meals, do laundry, wash dishes and perform other household tasks while under the direct supervision of a therapy team member. 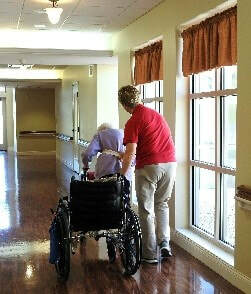 This allows the client to achieve the highest level of independence and safety in preparation for their discharge. Logan Acres’ dedicated staff focuses on the individual’s needs to ensure a successful transition home. 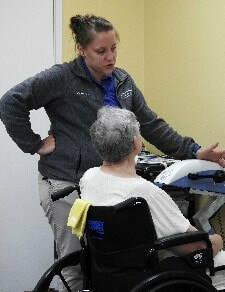 This form of therapy is unique and involves swallowing ability, voice strength, word associations that help reconnect pathways as part of recovery following a stroke and other challenges. 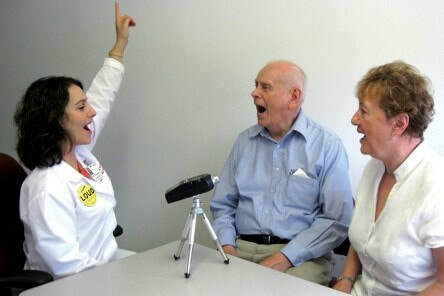 Big and Loud helps maintain a strong (LOUD) voice and normalized (BIG) movements for patients. Anyone with Parkinson’s Disease, Cerebrovascular Disease, Multiple Sclerosis, or other neurological disorders that impair function may benefit from this program. These exercises help maintain BIG and open movements to resist the small closed movements that are progressive and characteristic of these diseases. The “use it, or lose it” adage applies to maintaining these BIG movements. As the voice can become soft and small, these vocal exercises are applied in a progressively strengthening pattern. This improves vocal loudness and maintains improved oral communication. 90% of patients see improvement with treatment. 80% of patients maintain these improvements of their voice for 12-24 months. Just as BIG movements can be maintained and improved, LOUD voices can also be impacted. 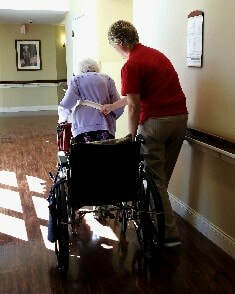 Logan Acres Care Center’s Homeward Bound Program was created for those requiring skilled nursing or therapy services. 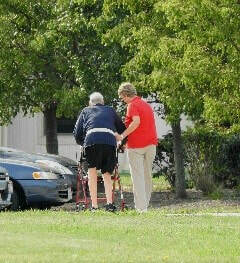 The program is designed for clients with the desire to return to their prior living arrangement. Each Homeward Bound client is involved in setting their individualized goals and developing their specific program from the day they are admitted until the day they return home. Would I benefit from Logan Acres Therapy? If you answer yes to any of the following questions you may benefit from Logan Acres Therapy services. After I sit for more than 15 minutes my joints are stiff when I move. I am unable to walk for greater than 5 minutes without pain or shortness of breath. I can’t perform my yard work like I use to. I can’t perform my household duties like I use to. I am unable to play with my grandchildren like I use to. I feel off balance when walking across my yard or driveway. I have to use a shopping cart for support to perform my grocery shopping. I am unable to carry on a normal conversation without shortness of breath. I feel like my energy level has decreased in the last three months. I have back pain when walking greater than 5 minutes. For more information about our programs, or to see if these services will be covered by your insurance provider or Medicare, please call our rehabilitation director at (937) 599-7075. For information about Medicare coverage for short term rehabilitation please check out our Frequently Asked Questions. To find out more about short term rehabilitation, please fill out our information form.